Fake news threatens national security, operations, Buratai warns – Royal Times of Nigeria. 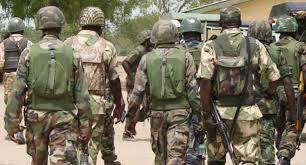 The Chief of Army Staff, Liutenant-General Tukur Buratai has urged those spreading fake news on the ongoing operations, including a section of the media to desist from such, saying fake news not only poses threat to national security but makes the ongoing counter terrorism operation in the North East more difficult. 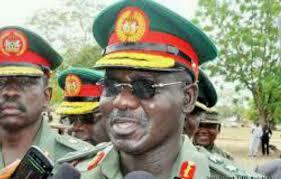 Buratai recalled that after the recent attack on the troops at Metele, many casualty figures on the part of the army was bandied. It would be recalled that after the incident, various media reports at different times put the casualty figures at 44, 70, 100 and above until a few days ago when the army confirmed 23 dead and 31 others wounded. On the one billion dollars approved by the Federal Government to buy arms for the military, Buratai said that the army has yet to access its share of the fund.